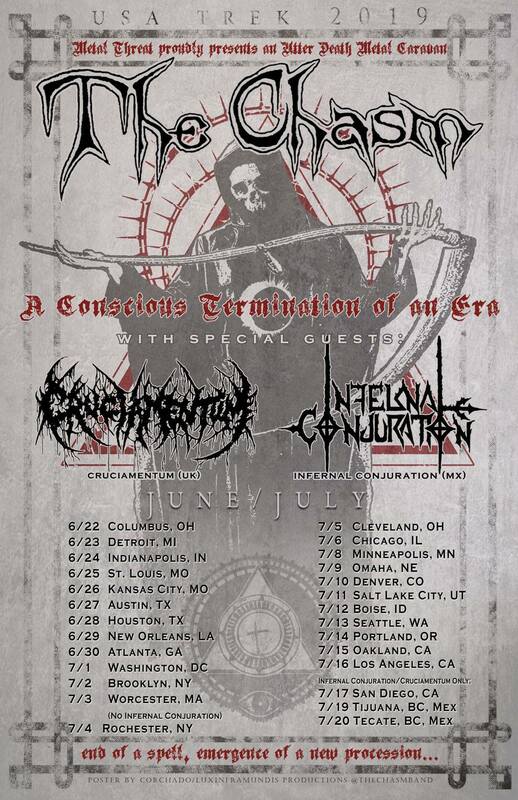 Cruciamentum will be touring as support to The Chasm alongside Infernal Conjuration on their “A Conscious Termination of an Era” tour in the US throughout June and July this year. Unfortunately due to the last minute emergence of some problems with scheduling R.B. and J.F. are unable to join Cruciamentum for this tour and will be replaced by R.O. (Vacivus, Risen Prophecy) on guitar and R.P. (AMON, Brutality, Perdition Temple, ex-Angelcorpse) on drums for this tour. 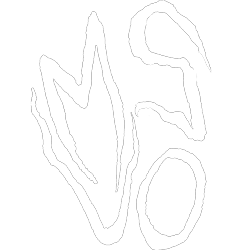 The band will have new merch as well as represses of all their releases including some which have been out of print for a while. These will not be released until the tour however, and any remaining stock will be made available online afterwards. After the tour Cruciamentum intend to concentrate entirely upon completing the follow up to Charnel Passages, which they’re hoping to record late 2019 / early 2020.